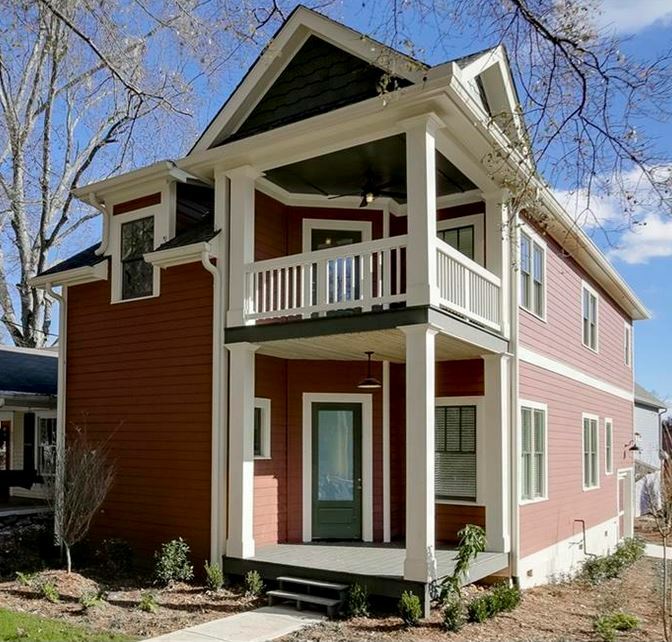 Designed by the award-winning Robert Forro, Ivey of Norcross subdivision is a unique, intimate 16 home community in the heart of Downtown Historic Norcross near shops, restaurants and more. Homes built from 2013 to 2016. Named for the famous baseball player, Ivey B. Wingo, this unique residential subdivision is situated near the City’s largest and most visited parks and greenspaces, Thrasher Park, Betty Mauldin Oark and Lillian Webb Park. List prices, since homes have been available for sale, range from $265,000 to $399,999. Home Exteriors incorporate beautifully designed details in the craftsman style. Mixture of brick, stone, shake, and wood siding, unique to each home exterior. Professionally designed community landscape and common greenspace by the award-winning Jason Weckerly. Most homes have 3 bedrooms and 2.5 bathrooms. If you have an interest in seeing these homes, or others around Norcross Georgia, simply contact us at Remax On Main! This Norcross neighborhood of Amberfield is located in Gwinnett County GA 30092 just off of Peachtree Parkway NW between East and West Jones Bridge Rd.NW. The average list price for a home in Amberfield ranges between $299,900 to $650,000. Most of the homes built between 1997 to 2001 in the community. Homes in the neighborhood have from 3 to 7 bedrooms & 3 to 6.5 bathrooms. The median sales price for a house, at time of post, is $487,626.00 and the average total list days on market is 126, at time of post. HOA fees-(Home Owner Association), at time of post, are $200.00 a year with an optional pool and tennis fee of $750.00. Amenities include a community pool and tennis courts. Neighborhood streets include Amberfield Circle, Amberfield Drive, Ancient Amber Way, Blue iris Hollow, Blue Yarrow Run, Broadgreen Drive, Chaversham Lane, Edgerton Drive, Gamaby Lane, Golden Leave Grove, Golden Leaf Trail, Kings Paddock Ct., Royal Pennon Court, Treaddur Bay Ln., Wild Ginger Cove, Wild Sonnet Trail, and Yellow Ginger Gln. Directions: Peachtree Industrial Blvd North to 141 , Turn Left on Peachtree Corners Circle, Right on West Jones Bridge, Right on Amberfield into the subdivision. Homes in Jones Bridge Landing of Norcross GA, are located off of E. Jones Bridge Rd and West of Medlock Bridge Rd. Just South of the Chattahoochee. Most homes built between 1980 to 1984 and have from 3 bedrooms to 2 bathrooms to 4 bedrooms, 3 full bathrooms. The average list price for a home in Jones Bridge Landing is between $179,900 to $299,900. The average selling price, at time of post, for a 3 bedroom, 2.5 bathroom home, is $228,011.00. HOA Fees, at time of post, are $500.00 a year and optional pool and tennis. Amenities include Cable Tv Avail, Fishing, Park, Playground, Swimming Pool, Restaurant, Sidewalk, Street Lights, Tennis Lighted, Underground Utilities. Seven Norcross is a community of Homes, Townhomes, and lofts located in the Historic area of Norcross GA. The name Seven Norcross, is named after the communities seven parks and designed in the Turn of the Century style. 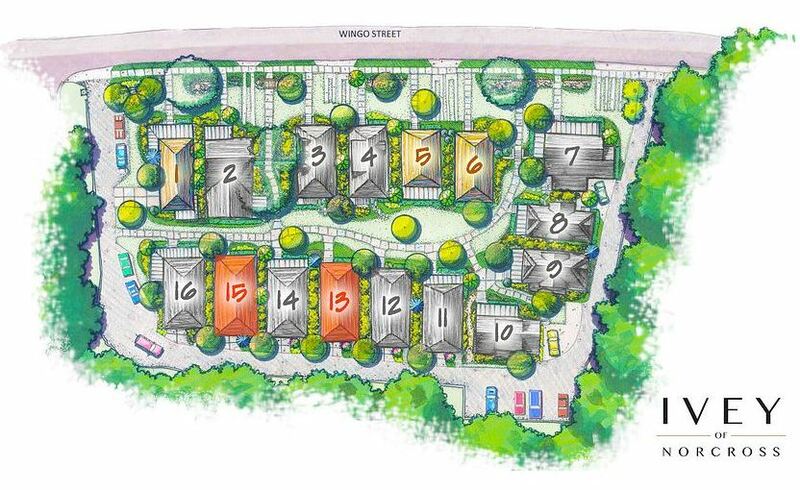 The community has 158 Homes, townhomes, and stacked flats and built by Hedgewood Homes. The average list price for a home in Seven Norcross is between $294,900 to $549,900, at time of post. The average list price for a 1 level attached home is just under $100,000 a time of post. The average list price for an attached home or townhome, at time of post, is between $199,900 to $466,500. Home Owner Association fees for Home Owners, at time of post, are $3,072.00 a year. H.O.A. fees for Townhome, Attached homes, at time of post are, $252.00 a month. The average selling price for a townhome, multi-level, in Seven Norcross, at time of post, is $345,749 for a 3 / 3/ 1. Community amenities include green space, playground, fire pit, and a zero entry swimming pool. Shops and restaurants are within walking distance of this great neighborhood. Directions: I-285 to Exit 31B (Peachtree Industrial Boulevard North). Go approximately 4 miles to Holcomb Bridge Rd. Turn Right on Holcomb Bridge and go 1 mile to Thrasher Street. Turn Right on Thrasher Street and go 1 block to Autry Street. Community is on right.